Posted at 5:55 p.m. / Updated Jan. 22, 8:30 a.m.
Open on time with unscheduled leave for employees, but will CLOSE at noon and remain closed Saturday and Sunday. Emergency service personnel should report as scheduled. Emergency services such as public safety will be available during the blizzard. Fairfax County Public Schools will be closed Jan. 22 and all after-school activities have been cancelled through Sunday. 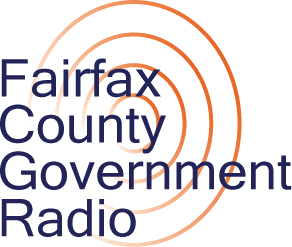 The Fairfax County Circuit Court, General District Court and Juvenile and Domestic Relations District Court will open on time and then close at noon. Fairfax Connector bus service will be affected by the inclement weather. 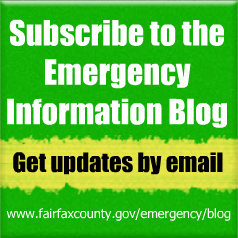 Check the Connector Web page at www.fairfaxconnector.com for the current operating status. For information about FASTRAN, call 703-222-9764, TTY 711, or online at www.fairfaxcounty.gov/ncs/fastran.htm. Will the Fairfax County Animal Shelter also be closed at noon and on Saturday? And what about Fairfax County Park facilities? Yes, the Animal Shelter and Parks will be closed on Saturday and Sunday. We have court dates Monday the 25th. Will the court be closed Monday as well?